Enjoy Paul Wheeler's traditional show at a public performance at Calne Festival in Wilthshire shot by local videographer Pete Stedman. 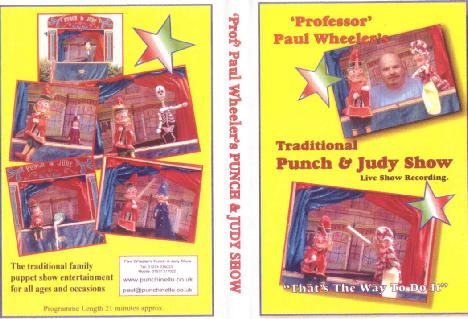 Punch and Judy fun from an experienced performer. Running time 21 minutes approximately. £12.50 plus postage and packing.